Today was the 4th round of the Gibraltar Chess Masters. 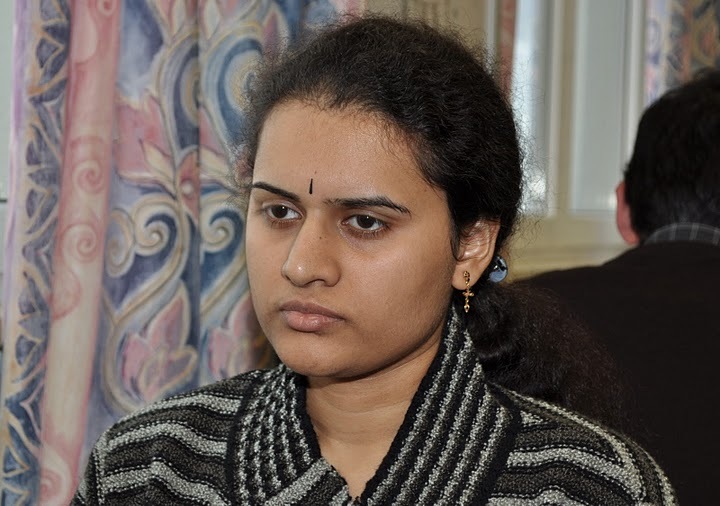 Out of the leading ladies who had 2.5/3, playing against male Grandmasters only Humpy Koneru was able to win against GM Hoffmann 2508, congratulations! Antoaneta Stefanova lost to GM Bacrot 2713 in a hard-fought and very long game. Alexandra Kosteniuk lost to GM Fridman 2654, Lela Javakhashvili lost to GM Geetha 2584 and Viktorija Cmilyte lost to GM Edouard 2608.
Notable results are also by Pia Cramling who drew GM Movsesian 2708 and Natalia Zhukova who drew GM Malakhatko 2549.